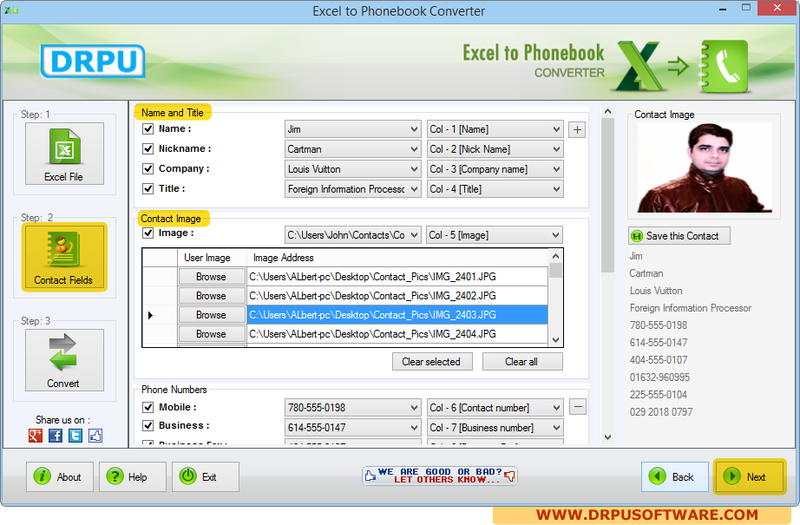 Step 2: Click on "Contact Fields" and fill all required fields like Name and Title, Contact image, phone numbers etc. 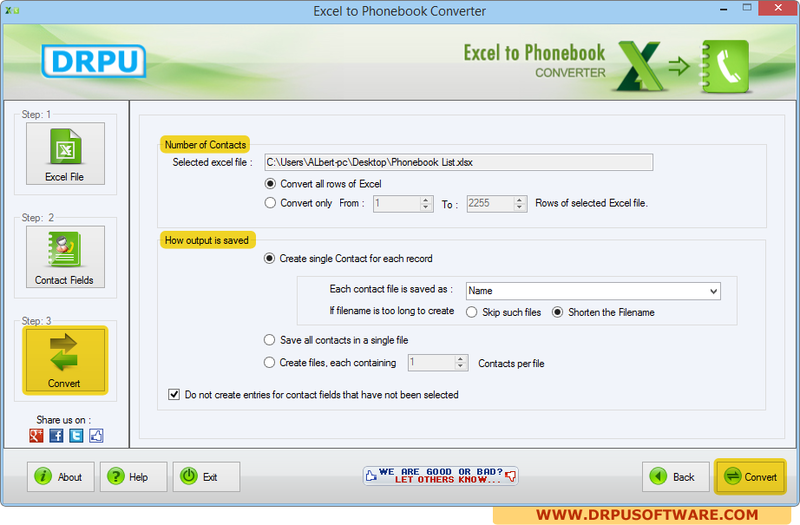 Step 3: Choose Options as per your requirements and Click on 'Convert button' to start conversion process. 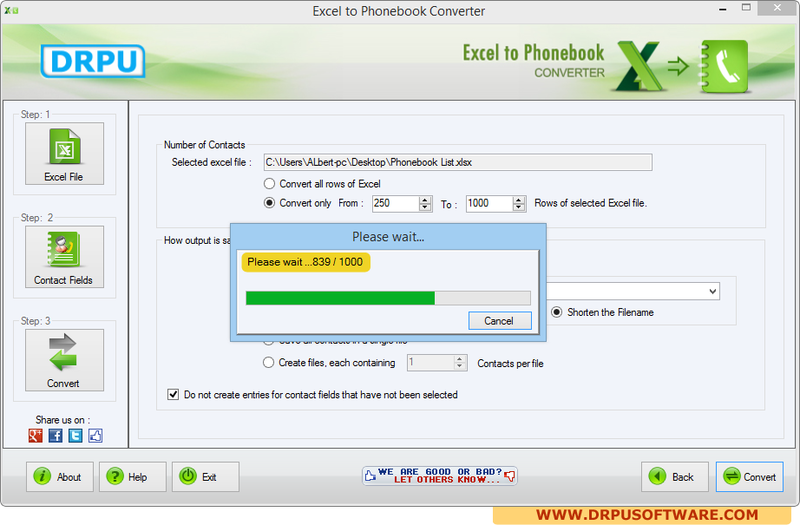 Excel to phonebook conversion process is going on.